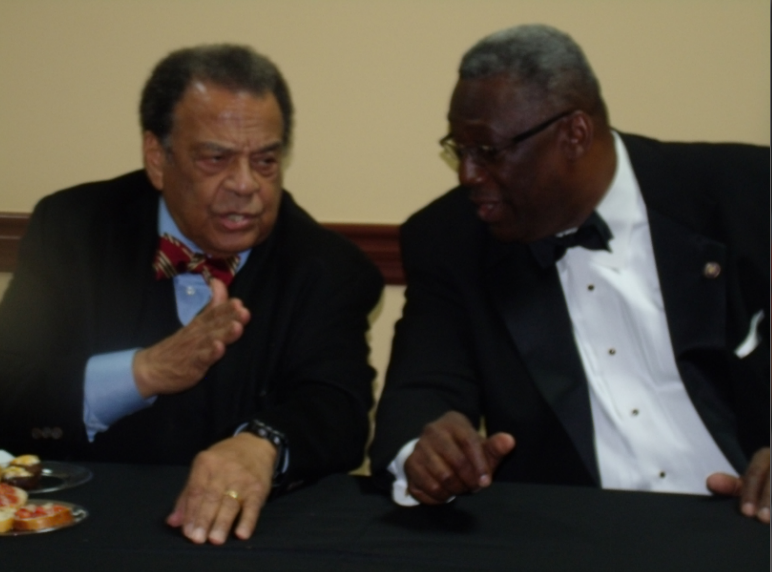 Former Ambassador Andrew Young spoke comfortably and candidly from an armchair at a Black Tie affair hosted by the Rockdale Georgia Democratic Party (located in Conyers 25 miles from Atlanta) on Saturday Nov. 1, 2014 held at the minority-owned business called Cameron Hall. The address deemed “an intimate conversation” was just that with the internationally recognized former Civil Rights leader. The Hon. “Andy Young” provided the audience with perhaps a once in a lifetime experience. He spoke like a concerned and loving father, older brother, man, pastor, mayor, congressman, ambassador, green technology scientist, epidemiologist and old guardian of Civil Rights still… encouraging our beloved America as a nation to be its very best! 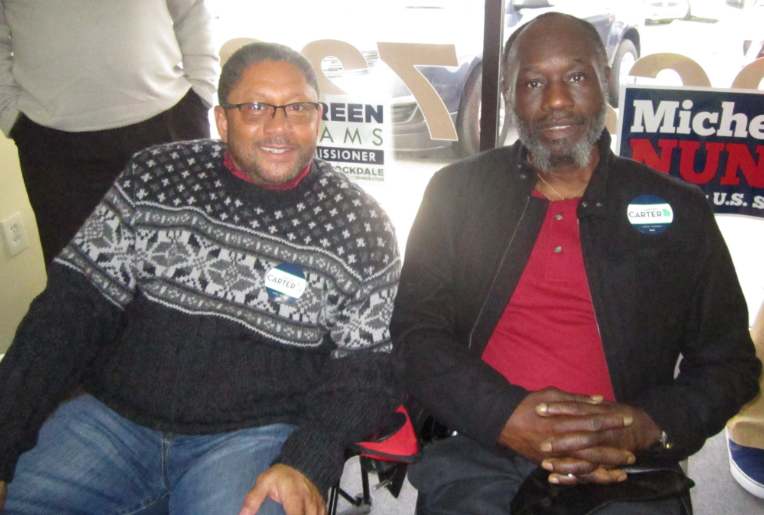 This event was the crescendo to a full day of iconic visits for the progressive Democratic Party east of Atlanta on Highway 20 towards Augusta. 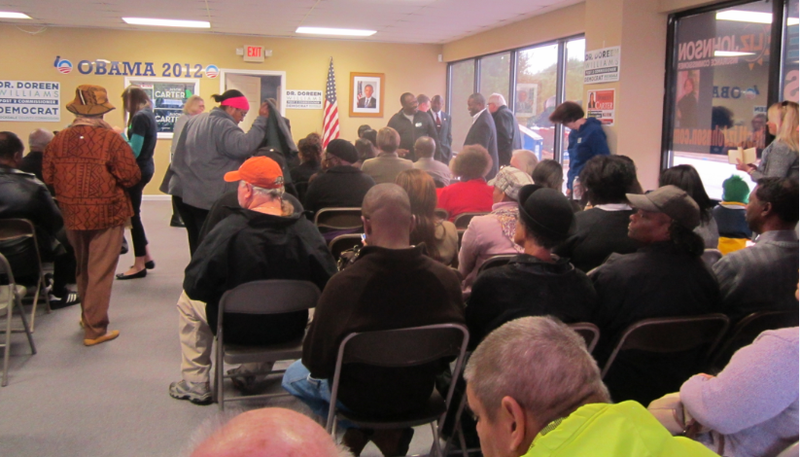 The day here started with Former President Jimmy Carter at Noon and a host of local and statewide candidates who appeared before a warm crowd all day at the Conyers headquarters. 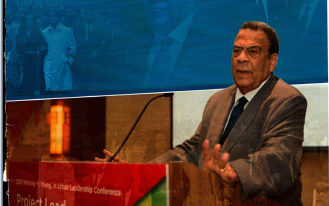 Andy Young, the steadfast lieutenant of Dr. Martin Luther King Jr sat appropriately like a chief executive doing a ‘fireside chat’ to explain life, politics and faith to American people. This seasoned pastor, statesmen, and politician explained frameworks for past, present and future in terms of politics forever being [saved from itself] by God’s own hands in the 1950-60’s civil rights era and the various reconstruction periods following it in our nation when he later served as Georgia’s Congressman, President Carter’s Ambassador and Atlanta’s Mayor. I think that our elder, removed us for a few hours during the evening from a prevailing perspective that we just live in a world organized by social systems that determine who the “politicians, prophets, poor people and priests” are each decade in human history. Mr. Young suggested more and engaged us to look at his reality. He was saying that we live in God’s domain and in His world which He is forever shaping both around and, in spite of us! 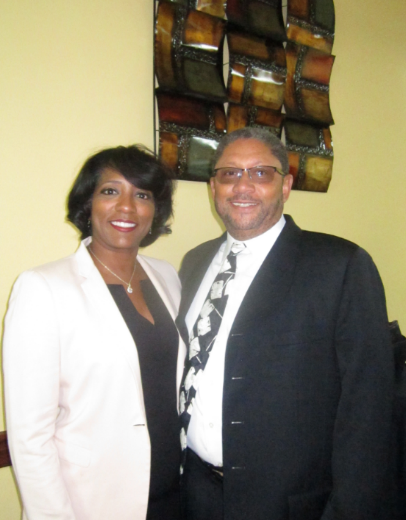 Mr. Young shared an example of how…many years ago, “politics” inevitably ended up in God’s plans when he was Mayor of Atlanta bringing the idea for an international airport with the late former Mayor Maynard Jackson to Wall Street. God’s hand…provided — what he least expected. 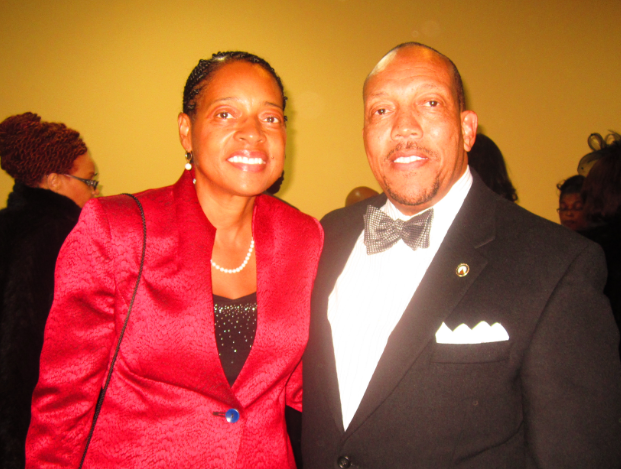 He said that…a forgotten Morehouse College student that he had mentored years before was the very same person (now a lawyer) at the prestigious firm that he was greeted by to receive his idea at the Wall Street firm. The kid he had forgotten as he put it (and now making more money than him) was to later become the champion of the airport project going international! 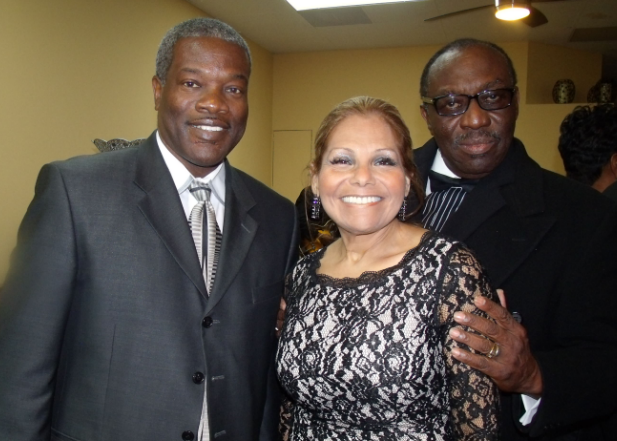 To bring the entire room to another level of his experience at the time, Mr. Young also told us that the City Council and many, many “professionals” back in Atlanta were consistently “nay-sayers” when the two (Young and the late Maynard Jackson) were vetted in Atlanta about the idea of funding the international project. And so…the Hartfield-Jackson Airport — the largest international hub in the world today– is God’s idea and we are all today very fortunate that Andy Young took time out to also “help a kid” along the way. 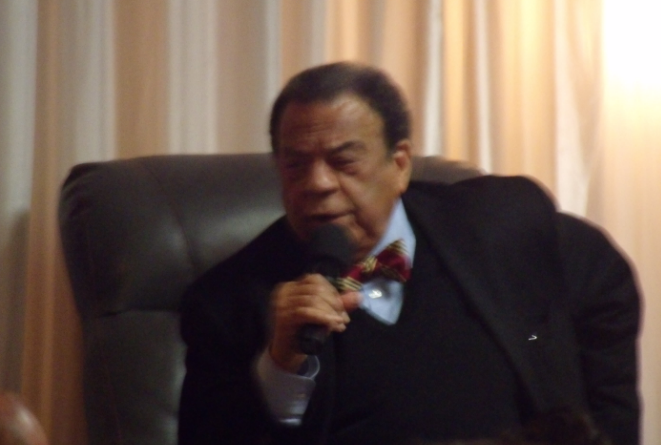 Andrew Young used ‘plain talk’ and the vernacular from all the periods of his life: boy, black girl, brother, white boy, black boy, red necks etc. He placed us in narrative beside him in his storytelling: in the mayor’s office, ambassador’s office, congress, the current pulpit and with narratives of Dr. Martin Luther King Jr and him walking and talking together during pivotal and historic moments in our national and civic history which today shape our social contract with America. Many times over the, Rev. Dr. Young concluded that God carries EVERYTHING through our moments of conviction or doubt with all concerns: civil rights, municipalities, human rights efforts and the future through gender, pandemics and educational games about which academic rigor to choose from. 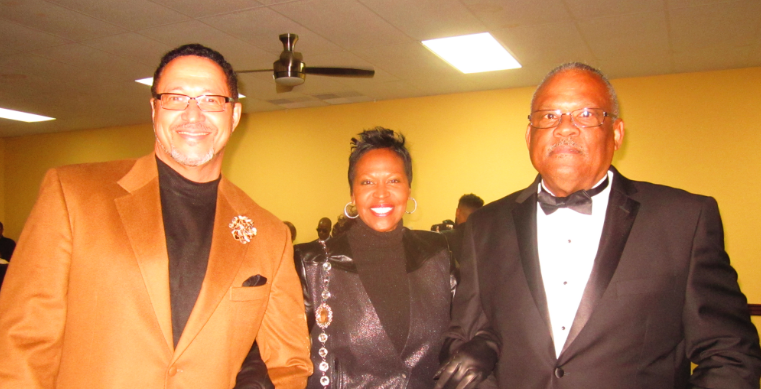 What I got from Reverend Young illustrated that God’s work “is the business of directing people”. He is helping us to see that nothing about our Judeo Christian principles of helping one another and waging the “good fight” is insignificant. When we help the least of us God makes the great outcomes for all of us! All humans are interdependent — black boys, white boys, red necks, Mexican’s, Jews etc. Today, there are some jaded leadership messages and agenda’s that are engineered parts of American politics that do not seem like “role-model-material” for the world that we ‘suggest’ tenets of democracy to. Our favored “pluralistic society and our creed” and “our democratic experiment” has nonetheless His…divine presence and spiritual hand so transfixed on it — that it will undoubtedly at-the-end-of-the-day(s) bankrupt racism, economic disenfranchisement, big business greed and any other limitations that people create who cannot see Him… and His power… correcting i.e. social justice and many other “big/little and little/big” things — again and again in our midst. Tell Rodney Calvin sent you for your discounts!